On 11th January 2017, Vanguard Group, the world’s 2nd largest investment manager, managing more than $3.9 trillion assets (as of November 2016) released the global economic and market outlook for 2017. 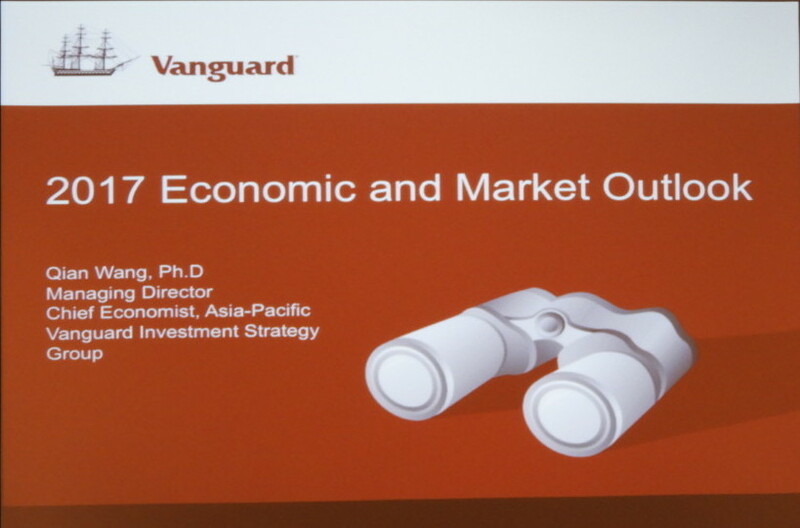 Dr Qian Wang, Managing Director and Chief Economist for Asia-Pacific of Vanguard Investment Strategy Group was in Singapore to provide an exclusive insight into what may eventuate in 2017. 2017 promises to be a year with more balanced risks and better growth than 2016 – A Cyclical Uptick as described by Dr Qian Wang. 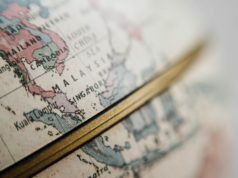 There will be more uncertainties and volatility originating from the United States, where their foreign, fiscal and monetary risks impacts every corner of the world. In 2016, growth has stabilised at some cost … … while with aggressive credit expansion and fiscal spending, 2017 will be a crucial year for China. They keyword for China is stability, and policymakers will try to make policy cushions and ammunitions to maintain the stability. Brexit will be very costly for the UK economy. The impact on Europe is bigger on the political side than the economy due to the Anti-EU (European Union) sentiment. The focus in 2017 will be the election in France and Germany. It is expected that United States will have a a stronger 2017 compared to 2016 with 2.5% growth & inflation hitting 2.5%. Rate hikes could be possible as Fed will take this opportunity to normalise the interest rate environment. Fiscal policy is at a super-high. It does not have long-lasting effect. Government spending on investment has decline as a percentage of GDP. The Yen being a safe-haven currency could strengthen due to the geopolitical risk and trade tension. Emerging markets will face significant headwinds ahead due to a higher US Dollar, China slowdown, weaker commodity demand and trade protectionism. In her earlier career, Dr. Wang was an assistant professor in the business school of Chinese University of Hong Kong (CUHK), and conducted empirical research in the fields of Asia and Chinese economies, international capital markets and corporate finance. Her research has been published in top-tier academic journals including Journal of Development Economics and Journal of Accounting and Economics. The Vanguard Group, Inc., based in Valley Forge, Pennsylvania, in the United States, is owned by the U.S.-domiciled Vanguard mutual funds, which in turn are owned by the investors in those funds. 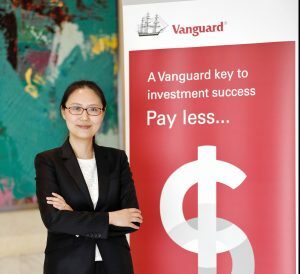 This unique U.S. mutual structure aligns Vanguard’s interests with those of its investors and drives the culture, philosophy and policies throughout the Vanguard organisation worldwide, including Vanguard Investments Hong Kong Limited, Vanguard Investments Singapore Pte. Ltd. and Vanguard Investments Japan, Ltd. As a result, Asian investors benefit from Vanguard’s stability and experience, low-cost investing and client focus. Globally, Vanguard manages over USD $3.9 trillion in mutual fund (as of Nov 2016), separately managed account and ETF assets. 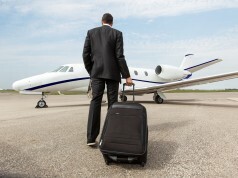 For more information about Vanguard Investments Hong Kong, visit www.vanguard.com.hk.